Out with the old — in with the new! 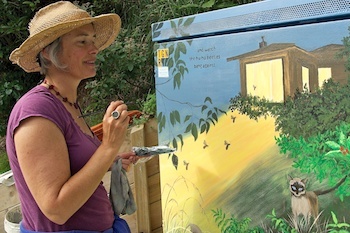 We have a big new telecommunications cabinet in our neighbourhood, connected by fiber (and causing me a lot of grief and unprintable words at the time of changeover, when broadband failed). 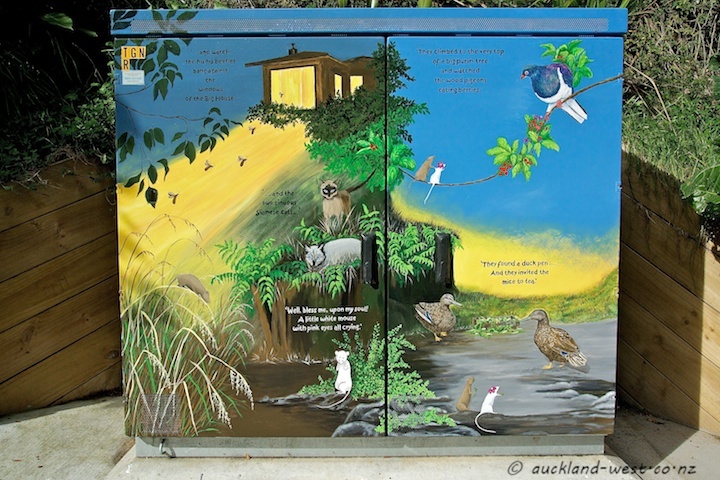 The previous box depicted the story of Tiberius the Titirangi mouse, and was shown here. Now Edith Diggle, well-known local artist, was contracted again to supply art for the new box, thus being able to bring back Tiberius. The design incorporates quotes from the book, and those were written by local jeweller Judy Newton. 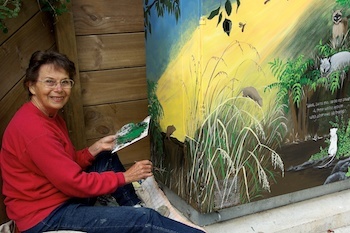 The box shows characters from the children’s book Tiberius the Titirangi Mouse by P. Ross, all embedded in the bush vegetation so typical of Titirangi. You can read a few pages on Google Books. 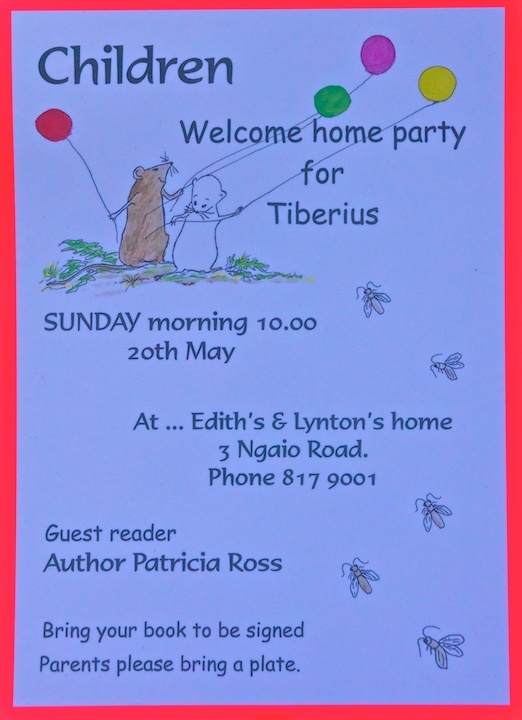 Edit 12/05/12: Signs have gone up around the neighbourhood, inviting children to a Welcome Home party for Tiberius on Sunday, 20 May, 10 a.m. at Edith and Lynton Diggle’s place, 3 Ngaio Road. Author Patricia Ross will be reading from the book. Parents a plate, please. See picture below.